Nitra, a city that spreads over 100 km² and has over 80 000 inhabitants, is one of the oldest cities in Slovakia. Apart from its rich history, Nitra is also known as a centre of agriculture or the city of youth, as there are two universities based here. Nitra is also a city where exhibitions and congresses take place. There are three theatres; the best known is the Andrej Bagar Theatre, the Old Karol Spišák Theatre, and the New Theatre. Every year, Nitra is a place of several international festivals and trade fairs. Why to come to Nitra? Picturesque scenery of the city stretched under the majestic Zobor. Nitra welcomes its visitors with river Nitra, 7 hills, church steeples and in the background-imposing castle, all of which encompass the city from all sides. Romantic alleyways and mystical corners, magical ambience, ostentatious church buildings, historic landmarks, and sleepy atmosphere, all that is on offer at historical town reserve in Horne Mesto (Upper Town). The heritage of Saints Cyril and Methodius breathes through pedestrian zone. You can see works of art representing Great Moravian tradition – enlarged copy of historical sword made of bronze, iron fountain, man hole cover dating to Great Moravia, 5m tall musical clock, corner drinking fountain or Twigs of King Svatopluk. 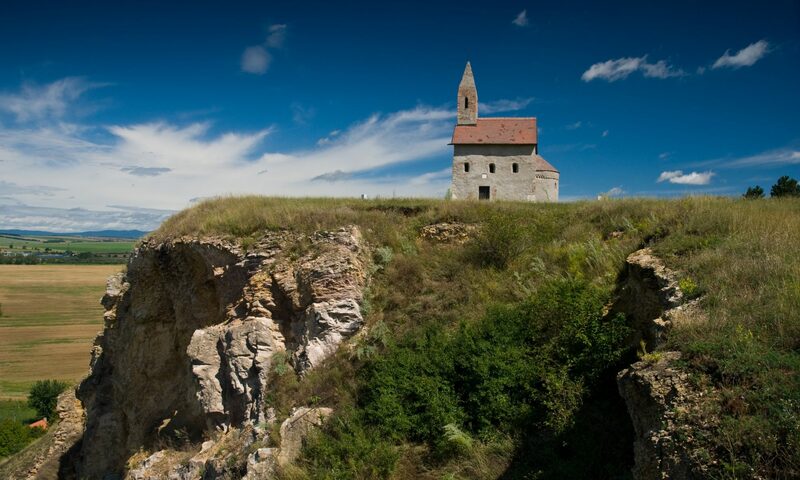 Undiscovered corners of Nitra are gradually opened up to the public. It is worth to mention the Martin’s Hill, which used to be place of Nitra’s barracks. Today, we can admire buildings from 19th – 20th century, beautiful park, but also first Slav settlements in archeo-park. The Zobor Abbey is increasingly becoming second tourist location, and restoration works are still carried out here. 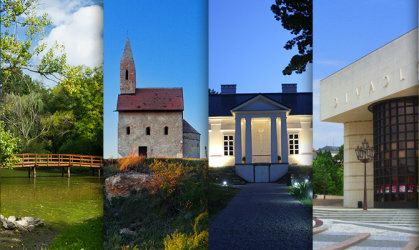 For the visitors of Zobor’s Hills is dedicated nature trail with 27 stations and overall distance of 14.7km. The target for hiking tourists is the Pyramid (553m) on the blue tourist trail. On your way, do not forget to stop and visit Svorad’s Cave (355m). Your one-hour hike will be rewarded with beautiful view over the city. There is a viewing tower with telescope, and fire pit with option to roast over the fire, right below the tourist camp you can see left over Great Moravian hill fort. Nitra Castle is undoubtedly principal dominant of the city. 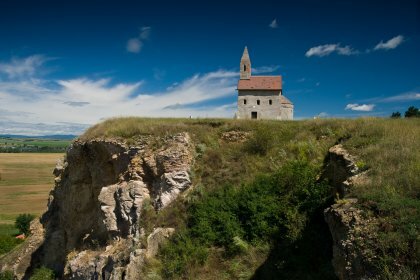 It offers visitors during the main tourist season – April to October- opportunity to climb up to the cathedral’s steeple. The lower courtyard of the castle and the tower’s balustrade is connected by155 stairs. Tourists can enjoy the view every day, apart from Monday, between the hours of 10.00 – 17.30. The climb is organised in regular half an hour intervals. Your own tour guide supervises the tower climb. The tourist centre opened in April 2017. It provides an opportunity to sit down and have an excellent cup of coffee and a good quality meal. The plus side is fantastic view of the city. To get visitors’ attention, piece of old fort is visible in the restaurant. Some of the old fort was uncovered during archaeological research at the time of building the centre. This is the place where contemporary architecture meets the historical one. Every year there is Summer at Nitra Castle event. Small open-air amphitheatre, so called Gothic Trench, every year during July and August, holds concerts or turns into a cinema, where you can see good quality films. Performances focused on medieval themes supplement the mosaic of events. Right next door to the exhibition centre, you can find lovely hotel, Hotel Agroinštitút. Hotel’s mission is not only to offer accommodation, food, and supplemental services of the highest standard, hotel employees endeavour to make the stay of their guests as pleasant as possible, offer complete service with good quality accommodation and cuisine, take care of their safety, comfort and ensure their return. Hotel has capacity of 36 spacious double rooms, 18 single rooms, and 6 apartments. The price of the room includes breakfast, parking, free and unlimited WIFI. All rooms have en suite (shower, toilet), small fridge, TV, telephone, and internet connection. The hotel restaurant provides food, local and international cuisine. Hotel also offers generous congress facilities with technological equipment. The business clients can find accommodation in top quality congress Hotel MIKADO****. The hotel is located close to the city centre. The location, easy parking, and luxury service put this hotel among the best quality hotels in Slovakia. This hotel offers accommodation in three categories: standard, junior suite and apartment. All rooms are comfortable, with plenty of room and 24hours concierge. Secure parking is provided directly within the hotel grounds. Hotel has its own a la carte restaurant, Restaurant ROUGE that has several accolades and offers international cuisine. Wine cellar is part of the restaurant and offers more than 150 varieties of wine. Hotel guests can experience good quality relax in wellness centre, which offers sauna, pool, fitness centre, squash court, golf or hunting simulator .